Well here is how you can do it. We are using Moodle 3.2 for this tutorial. The activity you will add is a drag and drop, re-ordering activity that will provide feedback when the student re-orders the images correctly. 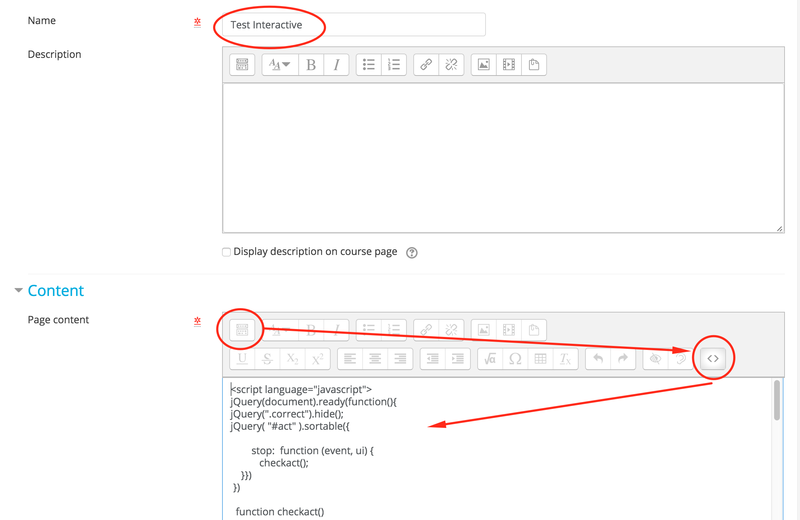 Here we will add JQuery, JQuery UI, JQuery UI-touch-punch and Font Awesome to your Moodle site. Note: This requires administrator access to your Moodle install. Copy and paste the code below into additionalhtmlhead as show in the diagram below. 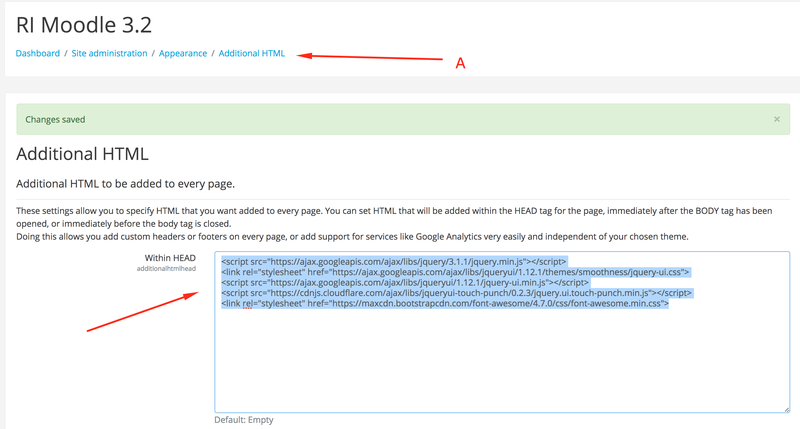 You will need to select the first icon in the page content menu as circled below. Then select the <> “code” icon on the right. Copy and paste the code below into the page content area as show in the image below. Click “Save and display” at the bottom of the page. If everything has been added correctly, you should now be able to test the re-order activity by clicking and dragging the items into the right order. Because we added the jqueryui-touch-punch script, this will also work on a mobile device. The image below is an example of how your interactive drag and drop activity should look.